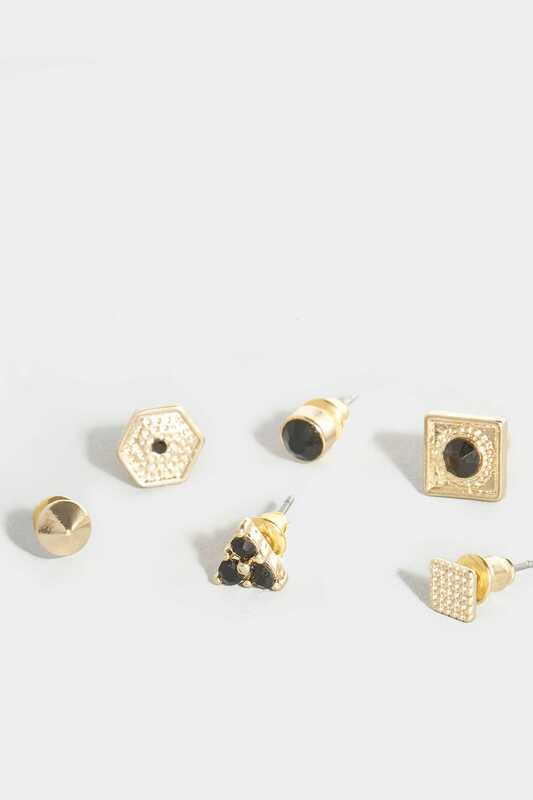 Add some extra detail to your off-duty styling with this six pack of gold and black assorted stud earrings. 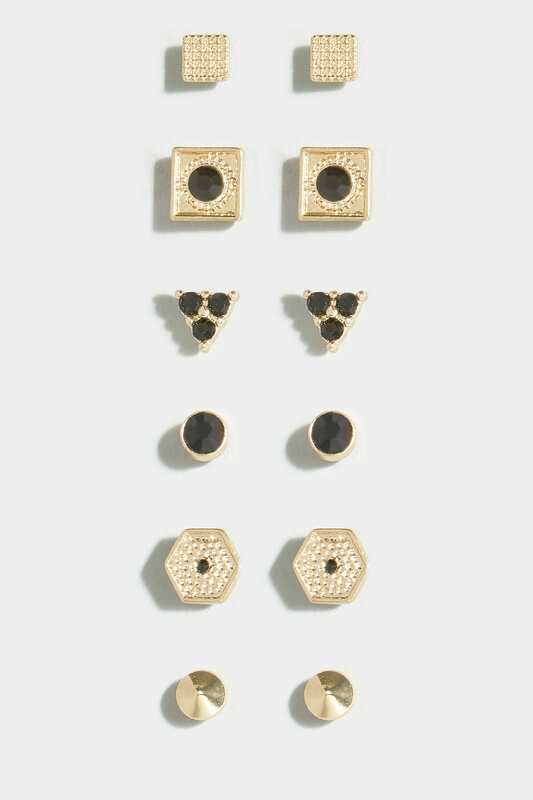 Featuring a variety of shapes including square, circular, cone and polygon. All complete will backs.